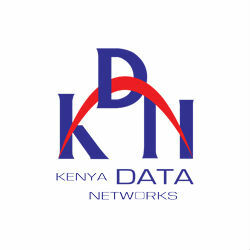 East Africa’s transmittion of information in the region reached an ample improvement when Kenya Data Network (KDN) which was acquired by Liquid Telecom, the region’s Fiber Optic Provider announced that it has extended it’s fibre network into Tanzania. KDN will be the first Network Operator to connect a single fibre network in the East African capitals of Kampala, Kigali, Nairobi and Tanzania’s Dar es Salaam. The new cable of 120km will link Nairobi and Namanga on the Tanzania Kenya border and is one of the cables that is going to impact capacity for KDN’s clients including government, homes, carriers, Internet Services Providers (ISPs) and businesses of all sizes. CEO of Liquid Telecom Nic Rudnick said “We believe that technology should be for everyone and completion of the Namanga fiber will be another major milestone in consolidating Liquid’s fiber coverage as the widest in Africa and confirming our position as the leading pan-African communications connectivity provider”. The key impact of the network is integration and connecting customers across southern, central and eastern Africa. Liquid Telecom is involved in several milestone projects to connect the African continent and lower the latency rate by retaining communication traffic in Africa instead of it being routed from South Africa to the rest of Africa via Europe, this will no longer be the case. Rudnick also said “With the completion of the KDN’s Namanga fiber we will provide even more secure and reliable solutions to businesses in Kenya , Tanzania , Uganda , Rwanda and Burundi ,” Rudnick said. “This fiber will improve business opportunities providing more capacity, more routes and higher speeds to fixed and mobile operators, as well as Africa ’s leading companies” Rudnick concluded. As Tanzania approaches a new era in it’s economic development, efficient network services will enhance the country’s growth and productivity and ensure the transition from low to middle-income status is backed by advanced communications.